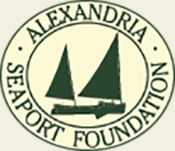 Alexandria Seaport Foundation seeks to build and enrich the lives of youth through hands-on teaching techniques– building boats. 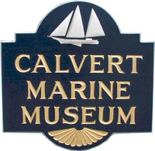 Calvert Marine Museum is our local museum. George Surgent, our creator, has volunteered and worked at the museum since 1981. He introduced “Toy Boat Building” at their events in the mid 1980’s. A great resource for information on the history of model boats. Our models have been used for various programs at this museum and are available in their gift shop. The Chesapeake Bay Maritime Museum hosts the Mid-Atlantic Small Craft Festival each October. Seaworthy Small Ships was first launched at this festival in 1983. Seaworthy Small Ships model boat building and sailing activity has been a part of their Annual Wooden Boat Festival since 2001. Seaworthy Small Ships model boat building has been a part of the St. Augustine Lighthouse Festival since 2008. The Woods Hole Historical Museum hosts a biennial “Model Boat Show” in April. Seaworthy Small Ships model boat building and sailing has been a part of the family activities since its inception in 1997. This museum offers a wonderful look into maritime history. Our model boat kits are available for purchase in their gift shop. The Center for Wooden Boats provides a gathering place where maritime history comes alive through direct experience. Sail one of our models on their pond or purchase one to build at home. The Great Schooner Model Society began in the early 1990’s. This group of sailors meet monthly to sail radio controlled schooners. George Surgent, our creator, is the commodore of this club. Carefree Boat Club is a member organization that rents boats. They have sponsored our model boat building and sailing activity at the Cherry Blossom Festival in Washington, DC since 2006. Living Classrooms is a non-profit, educational organization that utilizes a “learning by doing” philosophy. They began using our model boat kits in 1998.